Formedium’s HL5 Medium without Glucose has been used in a study into the interaction between phagocytes and yeasts. 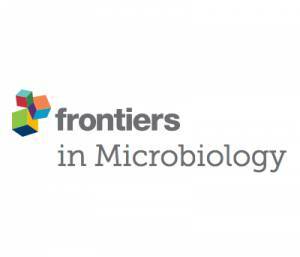 The research was carried out by Barbara Koller, Christin Schramm, Susann Siebert, János Triebel, Eric Deland, Anna M. Pfefferkorn, Volker Rickerts and Sascha Thewes and was featured on Frontiers in Microbiology website. All D. discoideum strains used in this study are listed in Table 1. Strains were grown axenically in HL5 medium without glucose (ForMedium, Norfolk, UK) supplemented with 1.8% (w/v) maltose (in the following referred to as “HL5”) and 100 μg/ml ampicillin. For transgenic cell lines the medium was additionally supplemented with appropriate antibiotics (20 μg/ml G418 or 5 μg/ml blasticidin). Cells were incubated on a rotary shaker at 22°C and 150 rpm in the dark. Cell numbers were determined using a Neubauer counting chamber. For non-axenic growth, E. coli B/r (Witkin, 1946) was grown overnight at 37°C and 200 rpm in LB-medium (10 g/l tryptone, 5 g/l yeast extract, 10 g/l NaCl). The next day, the bacteria were washed twice with ice-cold SP-buffer (15 mM KH2PO4, 2 mM Na2HPO4, pH 6.0) and cells were adjusted to OD600 = 6 in SP-buffer. Social amoebae listed in Table 2 were inoculated in the E. coli B/r suspension and incubated on a rotary shaker with 150 rpm at 22°C in the dark. For co-incubation studies with yeast, amoebae were washed free of bacteria twice with ice-cold SP-buffer by differential centrifugation at 800 g and were re-suspended in SP-buffer.